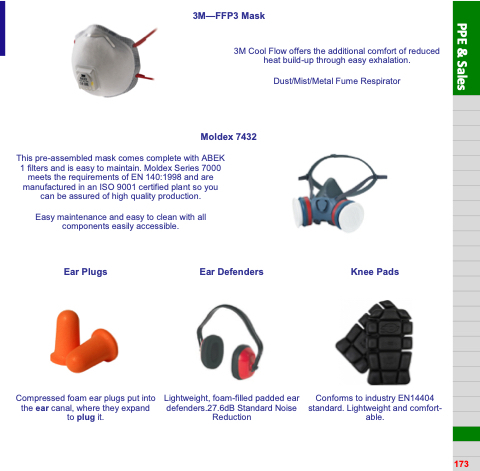 This pre-assembled mask comes complete with ABEK 1 filters and is easy to maintain. Moldex Series 7000 meets the requirements of EN 140:1998 and are manufactured in an ISO 9001 certified plant so you can be assured of high quality production. Easy maintenance and easy to clean with all components easily accessible. 3M Cool Flow offers the additional comfort of reduced heat build-up through easy exhalation. Compressed foam ear plugs put into the ear canal, where they expand to plug it. Conforms to industry EN14404 standard. Lightweight and comfort- able.